Building a new website comes with its own set of challenges and complications. One of the major impediments that act as a handicap is your lack of knowledge in programming. As such, website building involves a lot of coding and other allied tasks. Thus, if you are someone who has no knowledge of coding and programming, you will end up in a soup. Thankfully, there is something called website builder that understand this roadblock being faced by most of the bloggers. Moto CMS 3.0 is one of the Easy website builders that help you create great sites even without any programming knowledge. 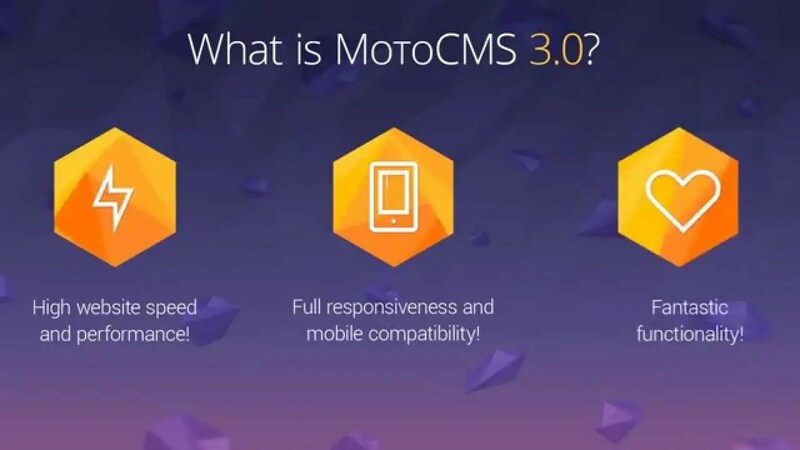 1 What is Moto CMS? 3 Who can go for Moto CMS Website Builder? Well, as you might have already understood, Moto CMS is one of the popular website builders. Website builders help you create your own websites even when you have no programming knowledge of any sort. The company has been in the business for over ten years. Moreover, they offer you a host of built in templates and a high degree of customization. The website builder allows you create professional quality websites across any genre. Launched in 2008, the service is best suited for E Commerce sites and business sites alike. Well, it has a simple functionality. The service comes with over 2500 built in templates. You just need to choose the templates you want and customize them to your preference. The website builder comes with a drag and drop feature that would make it easy for you to set up your site within a few minutes. Moto CMS offers you a WYSIWYG (What You See Is What You Get) interface. Therefore, you can check out the effects of your chosen template in a jiffy. Thus, the builder is a practical solution specifically for those who do not have any experience in website building and their maintenance. Who can go for Moto CMS Website Builder? Well, as we said, the service is designed for those who do not have programming knowledge. Needless to say, they will be the most benefited lot with this great piece of software. Apart from them, it can also be suitable for small time vendors and small to medium sized business vendors. It can also suit the professionals who want to showcase their work online. So, if you are a blogger or an online store owner – you can check the service for setting up a professional looking website with least efforts. In essence, the tool should work both for professionals and beginners alike. The themes available on Moto CMS 3.0 are SEO friendly by all probability. The service supports an excellent on page SEO. Setting up alt tags, keywords and title for pages and images have been implemented in the tool so that you need not go for any other services for SEO optimization. Moreover, there is also an for attributes like nofollow, no index etc that you may not find in any other website builder. Ease of use is what makes it a perfect tool for the beginners. The drag and drop feature would be the easiest among all other website builders. So, there is no need for any coding for any of the tasks – be it adding images or adjusting buttons.You need not go through any steep learning curve to be able to get going with the software. The service comes with easily accessible settings for all the tasks you want to perform with respect to building your website with ease. The latest version of Moto CMS brings many new features to the service. Mobile friendliness is one of the features that makes it a great tool to go with. Thanks to the new responsive design, you should be able to offer your visitors a truly responsive interface. Moto CMS 3.0 comes with a complete integration with all the popular social media profiles. It also has two special social sharing widgets – Social Links and Social Buttons. You should be able to drag and drop any of your chosen widget for the social media site of your choice and enter your account details – that does it and you are good to go. You have access to three major types of websites – Moto CMS Responsive, eStore and HTML. There are thousands of templates you can choose from. However, the templates do not come for free. All the templates are available for a one time fee. The advantage of opting for a paid template would be that you do not need to customize it to the degree that a free template needs to be customized. Moto CMS does not need you to pay any recurring fee for its templates or the service. All the templates have a definite pricing. The average price of a template is around $ 199. However, if you think the price is a little high for the template of your choice, here is a good news for you. Moreover, the service brings up some good deals from time to time. If you own a small and medium sized business, Moto CMS can be your best bet to improve the visibility of your business. However, it could also be useful for those who are looking for a professional looking website to showcase their business or their own creations but are low on funds. For them, Moto CMS can serve to be one of the best website building tools. Though it does not come with its own hosting service, the website builder has tie ups with popular hosting services like Bluehost wherein they provide attractive deals to prospective website owners. Moreover, all the templates come with a 14 day trial period. You can opt for the free trial and check out the features yourself. And we are sure that you will definitely love the experience.